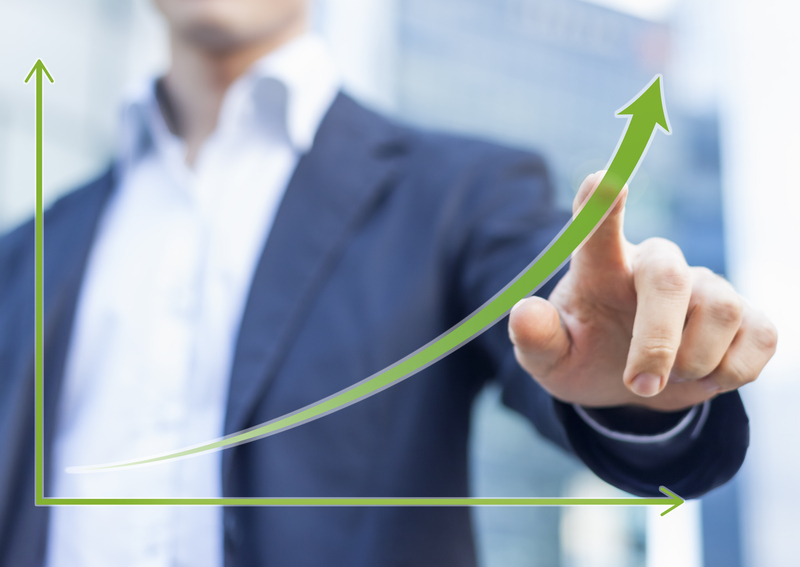 As a small business, we can see the economy turning and growing again. And as your business grows so too will your print volumes. Like many businesses, the main bulk of capital expenditure in office equipment happened during the heady days of the Celtic Tiger. One of the biggest outlays at the time was in photocopiers and printers, many of which are now old, in need of constant maintenance and requiring replacement. Given that we are living in a time of austerity, many businesses are making do with these old copiers and printers and resisting the investment that is required. The reality is that by keeping these old devices, costs actually increase as a result of new parts, service calls and downtime. The investment in new printing devices is not as high as might be expected and here are some tips to reduce the investment required. The most important task for any business is to find out what they are printing, how much of it and using what current printers. Without this data, the risk of choosing an incorrect replacement printer or multifunction device is highest. As print usage has reduced for many businesses over the past 10 years, it is likely the investment required in the new print devices will also be lower. If you are finding it difficult to track your print usage a good tip is to track the amount of paper you order for your entire business over a given period. This will give the overall business print requirement and that can be the starting point to drill down further. Reducing the number of printers in the organisation will not only lead to a lower investment, it will also lead to drastically reduced running costs. The most inefficient and expensive set up is when desktop or individual printers are being used. The move to consolidate and centralise the printing function will reduce cost, improve print functionality and give more control over costs. Many mainstream and specialty banks offer finance facilities that can fund the replacement of office equipment. 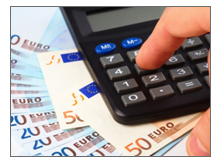 Securing finance eliminates the upfront capital expenditure and in many cases the cost savings associated with running the printing devices is greater than the monthly loan repayments for the finance facilities. To create a managed print solution for your business a discovery and analysis of your current set up, costs and requirements should be conducted. From that, a print solution designed to meet your needs should be applied to your business. Once in place the solution should be managed in terms of cost, supplies and enhancements. 3D Printers — Coming Soon To An Office Near You? Not a week goes by without some media organisation publishing a story about 3D printing. And this isn’t just in tech news – Google ‘Buttercup the duck’ to read a feel-good story about how a 3D printer was used to create a new prosthetic replacement foot for this defective duck. Or search for ‘3D casts’ to learn about how this technology could lead to hygienic, breathable support for sufferers of broken bones. Amazon.com recently introduced a dedicated product sub-category on its website for all things personal 3D printing. The section features 3D printers as well as some parts and consumables. An upcoming revision of Windows 8.1 will feature native driver support for 3D printing. According to Scott Dunham, Research Manager of Photizo Group, the premier industry’s biggest players now expect that proliferation of 3D printing to everyday businesses and consumers is the next frontier in the market.” NewScientist.com says we experiencing a second industrial revolution, and that 3D printing “is about to transform every single aspect of our lives.” But just how close is 3D printing to becoming mainstream and coming to an office near you? 3D printing is the technology that creates physical objects on a small printer by progressively depositing layers of melted plastic. And while this revolutionary technology will eventually become a fixture in most offices, we’re still years away from that becoming a reality. For one, despite significant reductions in price, 3D printers are still very expensive. And training for these revolutionary machines isn’t cheap, either. Training which will be necessary for all but the most technically inclined users; as with all new technologies in their infancy stages, 3D printers are anything but user friendly. And as of yet they don’t have many practical uses. Last but not least, there are those pesky intellectual property issues that need to be resolved. While 3D printing may be the wave of the future, that future’s still a ways off. So sit back and continue to dream of all the exciting possibilities this revolutionary new technology will provide to the office of the future. The vast majority of businesses now use laser printers that require laser cartridges. 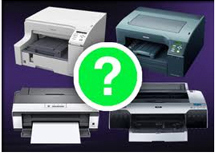 For black and white laser printers only one cartridge is required but for colour laser printer four cartridges are required and these can run out at different times. Laser cartridges tend to be quite expensive but they print more pages than inkjet printers. Cheaper generic cartridge options are available but there can be quality issues with these (see below). The most recent laser printers now also require drums in addition to the toner cartridges and these drums can be extremely expensive. Based on each page that is printed, the practice of buying printer cartridges and drums is extremely expensive. Many businesses have multiple printers, many of which are different makes and models requiring different cartridges that run out at different times. If you consider that each colour laser printer requires four cartridges with different complicated codes, the time and money spent managing the supplies can be avoided with a managed print solution. The practice of buying printer cartridges effectively means that businesses are pre-paying for printing they will do in the future. Whilst this may not sound such a negative on the face of it, it is likely that most businesses wouldn’t pay for their phone or electricity bills in advance so why should printing be any different? The stocking of spare cartridges drastically increases that cashflow commitment further. Cost control and forecasting is almost impossible when using printer cartridges. Printer cartridges and drums are required when they run out and depending on what maybe required, a large unexpected cash outlay may be required. The irregular and intermittent requirement for printer supplies makes cost control and visibility very difficult. Many businesses recently have switched from the more expensive branded printer cartridges to refilled or generic forms to reduce cost. Whilst some generic alternatives are good quality and work extremely well, generally there is a lack of consistency with generic manufacturers that can lead to quality issues with the cartridges. Leaking toner and low print quality are the two most common visible manifestations of a sub standard cartridges but the most important consideration is around cartridge yield and productivity. All laser printer cartridges advertise a page yield which is the number of pages it is expected to print at a set coverage. 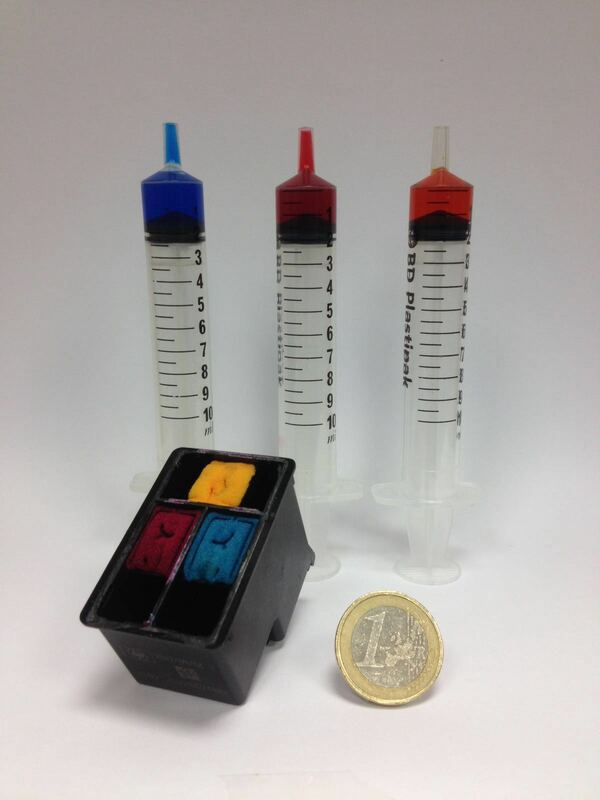 It is common for some generic cartridges to fail before the advertised yield is reached meaning that perceived the savings of using a generic over an original branded cartridge are not realised. This creates a false economy and a false saving and may lead the user to revert back to the more expensive original alternative. A managed print service solves all of the negatives associated with buying printer cartridges. In addition, an effective and efficient managed print service will be customised for your business and may lead to even greater savings and improved print function. 1. The cost to replace the cartridges and other parts and not just the cost of actual printer. 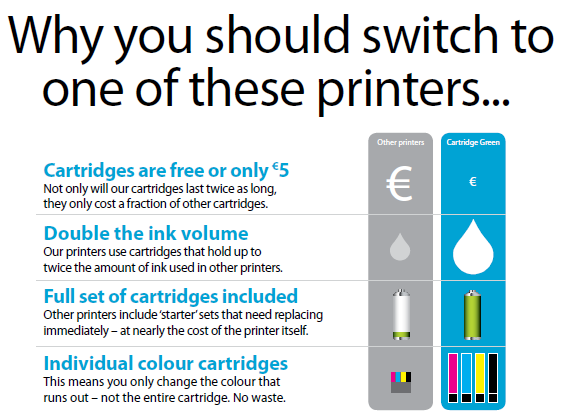 In many cases, the cost to replace the cartridges equates to the cost of the printer! If this is the case then you should avoid buying this type of printer as the running cost will make it prohibitive to keep. You should also find out if the printer requires any additional parts such as imaging drums or fusers. These parts tend to be extremely expensive and lead to nasty financial surprises. 2. 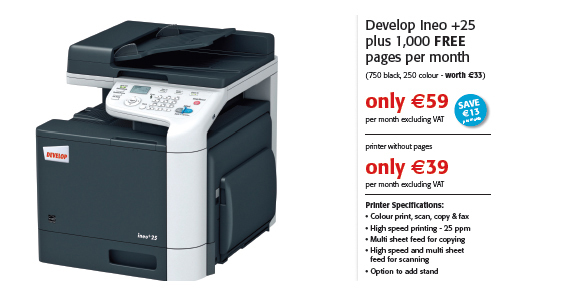 Does the printer come with full or starter cartridges and the page yield they print? 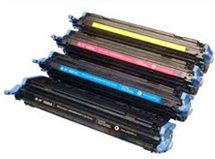 Many printers now come with “starter” cartridges with greatly reduced volumes. The concept behind starter cartridges is that they run out very soon after the printer is purchased so your true investment is the printer cost plus the full set of cartridges. You should also consider the page yield of the cartridge and you should cross check this with the cost of the cartridges and other parts to determine the cost per page printed. If you are paying more than 8.5 cent per colour and 1.5 cent per black page, you are paying too much! 3. 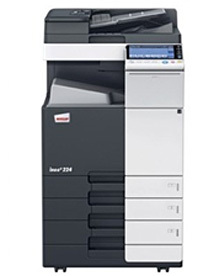 Does the printer match your requirements and print volumes? 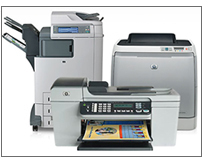 Matching what you need the printer for and how much print volume you expect to generate and the printer that is appropriate and vital in picking the correct printer for you. If you buy a printer that is too small and you are print volumes are more than it is capable of handling, you will be spending much more on smaller cartridges. 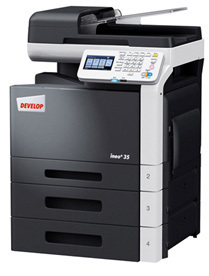 Additionally, the printer is more likely to give mechanical issues through overuse and the life of the machine reduces. David Robinson from The Guardian Newspaper published a very interesting feature on ink cartridges. 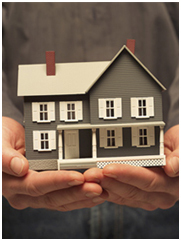 The article featured on 23 February 2013 and we have copied the text for you to read. It’s a busy morning at Cartridge World in Aylesbury, part of a chain of almost 200 outlets across the UK that sell branded and refilled printer cartridges. It’s a thriving business. The shop has seen turnover double in the past five years. But store owner Martin Dyckhoff says customers come to him time and again with the same complaint: the branded inkjet cartridges they have bought run out of ink too quickly. HP300 printer ink cartridge from 2002 (left) and 2010 (right). Photograph: David Robinson The shrinking amount of ink in cartridges has enabled manufacturers to offer a remarkable new product – called “XL” (extra large) but almost exactly the same size as the standard cartridge. For example, HP makes the HP300, which contains 5ml of black ink and sells for about £13. It also makes the HP300XL, which has more ink – about 16ml – and sells for around £20-£25. But both are nearly identical in size. Indeed, some makers’ “XL” cartridges may contain less ink than standard cartridges issued a few years ago.